Ah, passwords. In lieu of cheaper games and conservation of memory, passwords were created to "save" your progress, or be shared with friends so they could advance to later levels. Some iconic passwords became part of video game lore, and this quiz is here to celebrate them all. 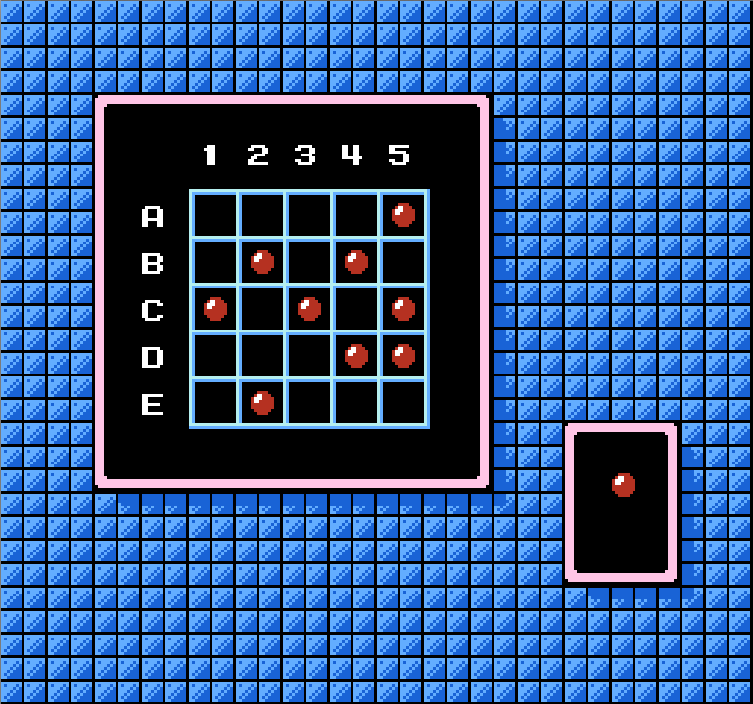 Since the 8-bit Nintendo Entertainment System had the majority of passwords, all questions involve the NES. In a certain game, you can enter "JUSTIN BAILEY ------ ------" as a password to play as which character, sans space suit? This screenshot includes a password from a game in what series? Like the games in Question 2, Castlevania III: Dracula's Curse also used graphical passwords involving three different objects (and, of course, blanks). Name any one of these three password objects. "DUVANS MAMMOR KOMMER BORTOT," "PAKING PAKING PAKING PAKING," and "[redacted] FIGHTS MEDUSA ANGELS" are all special passwords that let you begin certain levels with invincibility in which game, which had sequels on Game Boy and 3DS? To go directly to the second quest in The Legend of Zelda, what name must you enter in for your character? 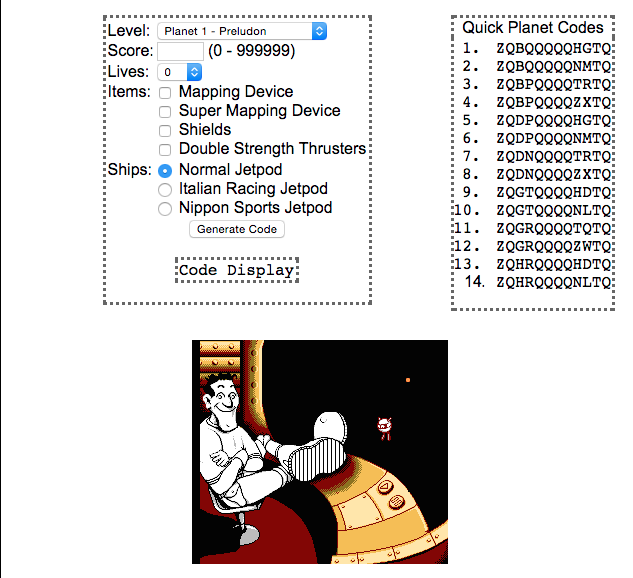 This screenshot from unoriginal.org contains a password generator for a rather difficult 1990 interplanetary exploration game, released by Rare. What is that game? Enter the password "007 373 5963" in a certain game to directly face a fight against which semi-fictional villain? Answer this question the same way you must answer it in Baseball Stars to unlock the all-female team: WHAT IS A WREN? Another cumbersome password system was used in this role-playing/strategy game, where a separate password was recorded for each of the four members of the party, plus a fifth password for the party itself. Name this game, released by Acclaim in 1990 and one of the few titles that supported four players at once. 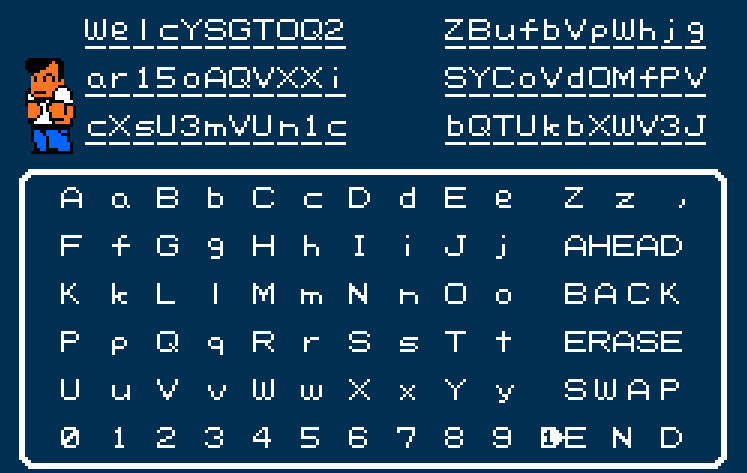 Conversely, one of the simplest password systems belonged to Bubble Bobble, wherein each password was how many letters? Which game broke the fourth wall by telling the main character to immerse his uncle's letter in water (included in the game box), to reveal the password "747 MHZ"?